Washington premiere of digital restoration. The books of the popular Provençal writer Jean Giono were a favorite source of material for filmmaker Marcel Pagnol in the 1930s. 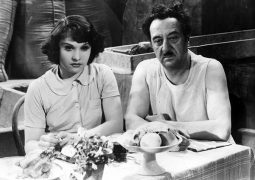 The Baker’s Wife (La femme du boulanger), arguably Pagnol’s best work, has now been treated to a 4K restoration. The incomparable Raimu stars as the local baker who is devastated when his pretty young wife (Ginette Leclerc) is attracted to a shepherd and leaves the village. Heartbroken, Raimu can no longer bake his famous bread, but luckily the villagers — distressed over the loss of their bread — make plans to lure the wife back to the bakery. (Marcel Pagnol, 1938, subtitles, 133 minutes).